Durban, the beach city of South Africa, is vastly filled with colonial influence along with Indian influence. What makes this city unique are the beautiful architecture and the blend of culture found here. The beach filled with modern resorts and a scenic view, is a popular place for tourists and fishermen of the city. The weather in Durban is good throughout the year. Summer goes on from November to March, Autumn from April till May, Winter from June to August and Spring from September till October. It tends to rain quite a lot from November till January while the windy season starts from August. The best time to go would be with mild winters and a moderate climate. The beach is open for use all through the year, but its temperatures vary according to the climate too. This is the world’s fifth largest aquarium and is the home for the distinct marine life which varies from sea horses to seal and dolphins. Moreover, you will find a penguin rookery in this aquarium. The Sea World Aquarium provides the people and children the opportunity to interact with the marine life and carries out activities that ensure this fun filled time. The Snorkel Lagoon allows people to swim with the vast array of marine life while the Touch Pool allows them to feel the skin of fish like starfish or a sea cucumber. There are both indoor and outdoor features in this aquarium. The Open Ocean has fish like tuna, Dorado and even some species of rays; the Reef Predators exhibits sharks and the many species that exist on it while the Turtle Lagoon has many kinds of turtles swimming about. A special Eco House provides ideas to conserve energy through colorful displays and there is a very cute Penguin Promise that helps you think about saving power. The Dangerous Creatures is filled with snakes and other kinds of reptiles and amphibians. The Deep Zone is the most alluring part of this aquarium as it holds the most fascinating underwater creatures which are hidden from the eyes. Make your kids enjoy the most while giving them education about the sea life and the risks of extinction they face while going through this place. Take a trip to this tantalizing place which has so much to show and so much fun to give! If you are looking for fun then this the place you shouldn’t miss. A major attraction, the Moses Mabhida Stadium, is filled with adrenaline giving adventures and activities. Take the SkyCar ride to the top of the arch of the stadium. You can even walk 500 steps to the platform on the Adventure Walk. The top of the arch has highly scenic views of the Indian Ocean and the city of Durban itself. This place is equally thrilling for families and for young couples looking for some romance. There are tours available inside the stadium; the all-access tour is for 90 minutes while the general tour is for 45 minutes. If you want the full jolt of adrenaline then the bungee jumping from the arch is a must try for you. This 106 meter jump will blow your senses away. There are many shops opening up in the stadium with a few already open for you to explore and buy from. Moses Mabhida Stadium is an absolutely perfect location to spend your day, watch the sunset from the top, eat some amazing food and capture loads of beautiful pictures. So prepare yourself for this jolting venture and take the plunge down the arch to make this the trip of your life. Located at the end of Durban’s Golden Mile, uShaka Marine World is Africa’s largest marine theme park, which is full of exciting things for both kids and adults. It consists of a re-creation of a ship from the 1940’s. This theme park consists of the world’s fifth largest aquarium. Spend your entire day and do not forget to eat a meal at the Shark Restaurant where the shark aquarium surrounds you and sharks swim about while you eat your food peacefully. Go shopping in the huge place which has to offer you all sorts of brands, boutiques and souvenir shops. In the center of this humungous place you will find a stadium with 1200 seats where you can watch a dolphin show. The Bell’s Beach which is right adjacent to uShaka Marine World is completely set aside for people seeking fun and adventure. Try wind surfing, beach rugby, beach volleyball, kite surfing, jet skiing, paddle boat rides, national and international beach sport events and dolphin viewing charters. The Wet n’ Wild part of this Marine World is a freshwater entertainment land where there are huge separate swimming pools for kids and adults and if you want more excitement then there are river rides, slides and high-speed chutes. This place lets you free to explore and enjoy yourself to the utmost. If you just want to sit and relax, then find a place to lie down in the sandy beaches and bathe in the sun. Going to this place will be one of the best experiences of travelling in Durban so do not miss out on it. On the ridge of Berea ridge is this heavenly and exotic place known as the Durban Botanical Gardens. It originally started off as a site to grow crops for experiments. Now it includes a herbarium, an orchid house, a Cycad collection, a garden for blind people and a charity tea garden. The gardens gained fame from the original specimen of the Cycad plant which is still acknowledged as one of the rarest plants in the world. The Orchid House is the highlight of the gardens which is named after Ernest Thorp who designed and built it to its reputation of being the first naturalistic orchid display in the world. The herbarium contains species of about 100,000 pressed, fresh, dried and catalogued plants all originating from the local area of Durban. The charity tea area offers tea and light refreshments will about 4 in the evening. Guided tours of the gardens are available; however, you need to get them booked quite well beforehand. A well spent day would include a walk to the Durban Botanical Gardens, which are world renowned and will bring peace to your mind with the exotic species of flowers and plants it consists of. This scenic valley is a valley formed by the Mngeni River and its tributaries. A place which attracts tourists and artists from the around the world, The Valley of a 1000 Hills is one of the most beautiful places in South Africa. Settled within this valley you will find small cottages, friendly pubs and tea gardens. The most attracting parts of this site are the visual magic it casts upon people, the culture it has to offer to people especially since three villages are a part of this valley. You will also find small stalls and shops around the valley which have some very different and cultural objects for you to buy. Here and there you can also see Zulu dancing and other village ceremonies which are a great way to interact with the culture of the country. So go ahead and take a walk down this valley and enjoy the beauty it has to offer along with the different culture you can find. Another one of the biggest attractions of the Durban city is the Umgeni River Bird Park which is only 10 minutes away from the main city. If you ever wished to be in the real habitat of birds and experience the jungle then this is the place. There are natural aviaries, marvelous green vegetation and some rocky waterfalls which give an amazing effect to the park and mesmerize the viewer. This is the site where you want a million pictures of the hundreds of kinds of birds you will find in their comfort zone just perched on branches. The main focus of the attraction is the free-flight show, which is a show about the conservation and protection of rare birds which are close to being extinct like a few species of owls. The birds glide over the heads of the tourists giving them a message. The show is scheduled specially on a few days, so get that checked and make sure you go and enthrall yourselves in this amazing place. The Wattled Crane is an endangered bird which is bred here in this park and are fed with care. Teach your kids about the rare birds and the risks posed at them from humans while making them walk through beautiful sceneries and natural habitats. Other birds are the cockatoos, flamingos, peacock pheasants and fish eagles. Colorful and truly exotic this experience could not get better! Located just outside the city in the Giba gorge is this adrenaline filled experience where enthusiasts of cycling can test their skill. The varieties available here are BMX, downhill and mountain biking. The dirt tracks here are renowned to be the best in all of South Africa. The park is known to host many international and national cycling competitions here. The bikers choose their own track according to the skill they possess. The longest route is 10.2 kilometers while the shortest is 6-7 kilometers and each one of them is filled with sceneries of waterfalls and beautiful trees. The Giba gorge park includes spots for picnics too with showers, camping sites, toilets and parking sites. A restaurant is located right next to the park where the cyclists can replenish themselves. 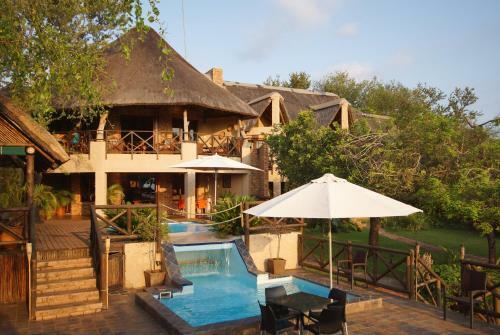 The Giba gorge bar is a great venue for socializing and making new friends. The safety precautions are really high at Giba gorge Mountain Bike Park where paramedics are called immediately after any accident. So if you are one of those cycling enthusiasts take a trip to this park to check your skills while enjoying the natural beauty of South Africa around the gorge. Nestled within the Durban city is the Hare Krishna Temple, which has a beautiful golden exterior and interior. A different and another exotic experience to find a Hindu temple within South Africa which has a totally different culture is just amazing. This temple is the largest temple in the whole of the Southern hemisphere. The golden outside of the temple glows like a sun in the morning becoming a sight of attraction for the worshippers and for tourists alike. The marble tiled floor, the gold tinted windows, crystal chandeliers and gold statuettes inside the temple just add to the aura and take you to another world. The colorful ceiling filled with frescoes depicts Lord Krishna while Chinese lanterns add to the interior. The octagon shaped meditation room is the center of the temple which is dominated by three pillars. The temple does not just stand for its religious importance but it was known for the delicacies it has to offer which are the vegetarian dishes. Mostly people used to take away the food and relish in the exotic flavors. The temple was built in 1985 and has beautiful gardens surrounding it so if you go do not forget to take a walk around these which are filled with flowers. This temple is gorgeous and is a must visit if you are in the city of Durban. This mosque built in 1895 in the midst of shops offering antique objects and furniture is another example of mixed culture living coherently within the city of Durban. Hidden it stands there offering peace to the people who enter it. It was originally built to provide refuge to the Indian immigrants to South Africa. There is a Koi Fish pond inside so when people wash they see fish swimming underneath. It is considered to be the largest mosque in the Southern hemisphere which can accommodate up to 7000 people when offering prayers. To see the actual mix of cultures and religion this place is the best site to visit as you will find people from different regions and you can interact with them. Find a local and take a tour of the place around you to find more history of the place. Be there in time because the place can have some parking issues! The house of Sir Marshall Campbell was built after his retirement in 1914. Sir Campbell was a wealthy sugar baron and a philanthropist. The house is known as Muckleneuk and is settled in the busy area of the city. Now it houses a museum looked after by the University of KwaZulu-Natal which is known as the William Campbell Furniture Museum. 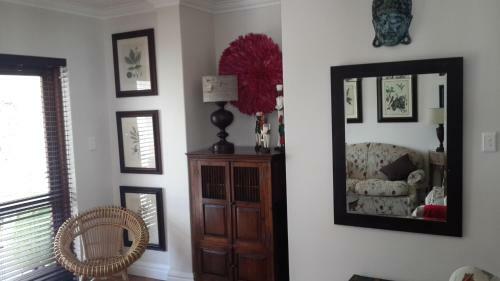 The house is filled with exquisite pieces of Cape Dutch furniture that belonged to the family. The Killie Campbell Africana Library is open to the public and provides some amazing historical facts about the region. Walk into the house to view the beautiful furniture and paintings by some famous people. Absorb the history of the city and find yourself in the life of the Campbell family. Spend your last night and day at the Suncoast Casino to get the final thrill of your trip. The hotel is filled with entertainment. Find a slot machine from the 1450 available on the casino floor. If not, then there is sun, sand and the beach. Get some cocktails. This one of the best locations to interact with people and socialize. Start a party of your own with a bonfire. The hotel has amazing restaurants with a tantalizing range of food. Away from the hustle and bustle of the city this is a place apart from the rest. A totally different and amazing experience for those who visit it. You can watch movies in their cinema or if not then just stroll along the water watching the people around you. Known to be equally good for couples and families, this place will definitely be the best last night in Durban. Try to get some bets going and enjoy yourself to the fullest with some fun! Drive down to this place to have some last fun in South Africa. Your trip to Durban will be incomplete if you do not enjoy and go on the adventures available to you. Go to the Sea World with your family to watch the most beautiful kinds of sea life around you. Don’t miss out on the dolphin show taking place there. Take a hike in the Valley of a 1000 hills and try your painting skills with the scenic view it has to offer. Looking for cultural interaction? Then don’t forget the Hare Krishna Temple and the West Street Mosque located right in the busy streets of Durban. Go to the Giba Gorge to watch other cyclists try their skills and try yours if you are interested in this sport. Moreover, the bird park is a must if you enjoy natural habitats and birds. The botanical gardens are a must too for peace loving people who look for isolation within the noise and busy city. Add the oomph to your trip with the uShaka Marine World which is an absolute thrill for both youngsters and older people. Make this the trip of your life visiting exotic places, walking on the golden sands of Durban Golden Mile and enjoy your last night at the Suncoast Casino. Go ahead and get your bookings done!